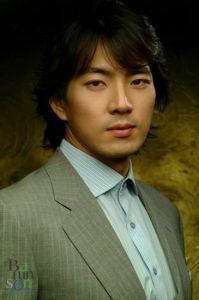 Song Il-gook who has risen to national stardom through the MBC drama series 'Jumong' is visiting the television screen in 7 months as a munitions entrepreneur working internationally. At the production press conference held on the 5th, Song Il-gook mentioned that he immediately was attracted to the concept synopsis of "Lobbyist" when he was still filming "Jumong". In the series "Lobbyist" which is scheduled to premiere on October 3rd, Song Il-gook will play the munitions entrepreneur Harry and display a contemporary charm, rather contrary to "Jumong". Answering a question as to what he does in his free time despite his continuous acting without breaks, "I participated in a triathlon while filming 'Jumong'. I was on set all night and drove 4 hours by car to start the event right away but my record then was my personal best. I seem to gain more energy when I am tired. I may naturally have a lot of stamina". Contrary to Jang Jin-yeong's comment about the harsh filming conditions in Kyrgyzstan, Song Il-gook said, "As an actor, I didn't have too hard of a time. The staff actually suffered through everything since the condition itself was harsh. I personally had a good time experiencing the untouched nature of Kyrgyzstan. The place has a gift of nature to film. Within one country there is the beauty found in New Zealand along with a desert and even a lake. And because there are almost no airplanes passing by, the sky is always clear". Song Il-gook also commented, "Unlike 'Jumong'. I am happy just not having to attach a beard or wear a wig. I am slightly worried as I will be competing with 'The Legend' but just as Bae Yong-joon is trying his best, I believe I am putting the best of my efforts into "Lobbyist"", displaying his confidence. Korean Wave concert targets foreign tourists. A show of traditional costumes that were worn by the cast of the movie "Hwang Jin Yi" will be held Sept. 8 at the COEX in Seoul on an outdoor stage.